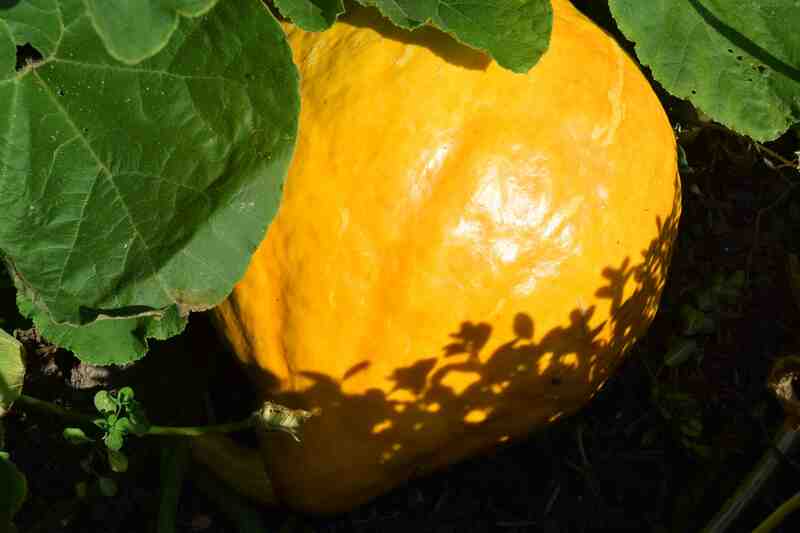 I am growing a dozen or so squashes this year. They are always a bit of a risk, especially as I am growing some American varieties that may not be suited to the Irish climate. I have experimented a lot this year and not everything has done well. I think that the cold August is to blame but I am hoping that this glorious September is going to make up for that with a last burst of growth and some ripening of what fruits have been formed. 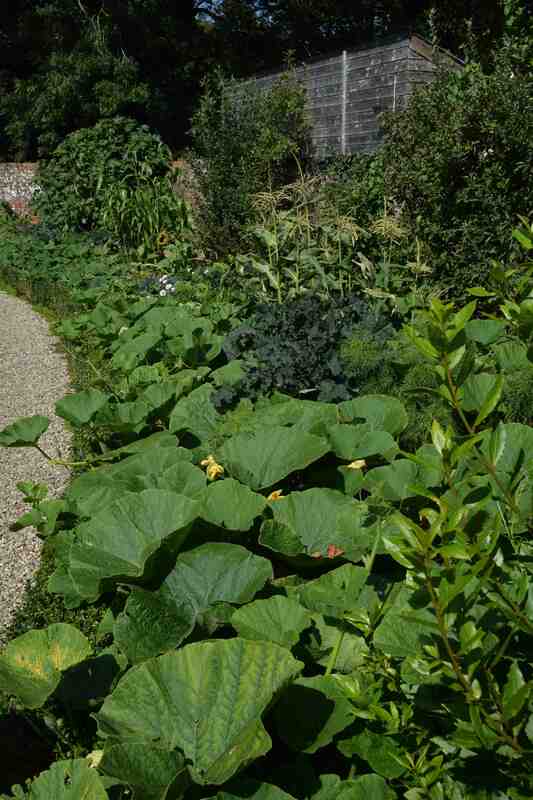 In the photo below you can see the squashes, growing in a south and south/west facing bed, escaping over the box hedge. There are some sweetcorn too, which are a bit disappointing this year and, further back, some broom corn (sorghum) which has grown well but I cant imagine will produce enough to make even a single broom. It is far too early to say how any of the squashes have done. The summer squash have cropped well though the crookneck squash have not produced enough fruit to justify growing them again. The butternuts are doing well but they are British-bred so would be expected to produce a decent crop. I am most interested in the American seeds (from Baker Creek Heirloom seeds – like the tomatoes). I was particularly hoping the ‘Boston Marrow Squash’ would do well and I am pleased that I have at least three fruits set and they are a decent size. It is tricky to say exactly how many fruit there are because I let the plants ramble and there may be some hidden at the back of the bed. I planted them in early June but in the front of the bed I had planted early potatoes all along the back of the box hedge. As the potatoes were lifted I could allow the squash to tumble forward into the space. ‘Boston Marrow Squash’ is a Cucurbita maxima variety that dates back to 1831. It was once an important commercial variety and is supposed to have very fine flesh and good flavour. They can grow to be about a stone in weight (6kg) and this one looks as though it is heading for that sort of size. I love squash and they are good for you too so I am looking forward to trying this and the others.